Guest post by Dr Jonathan Scurlock, who is Chief Policy Adviser, Renewable Energy and Climate Change at the National Farmers' Union. When the government launched its Industrial Strategy Green Paper last year, we felt it was really important that agriculture made the case for innovation as a way of boosting productivity and profitability for all farmers and growers. The National Farmers Union, the Agricultural and Horticultural Development Board, and a range of other stakeholders, argued that agri-food needs to remain one of Britain's strategic industrial sectors, recognised for its contribution to growth across the whole of the country. We are a significant exporter, and collectively we make an annual contribution of nearly £110 billion to Gross Value Added. Overall, food and farming businesses support 3.8 million jobs throughout the UK, with 13% of the national workforce employed across agriculture, food manufacturing, wholesaling, retailing and catering. We were delighted, therefore, when the government's White Paper published in November last year, committed the UK to being at the forefront of the global move to high-efficiency agriculture. For example, disruptive new technologies such as "vehicle-to-grid" (two-way battery charging) could help incentivise future uptake of electric agricultural vehicles, bringing reductions in both running costs and carbon emissions. Another innovation, insect protein feed for intensively-reared livestock, could ensure a diverse supply of inputs to animal production with a reduced environmental impact, truly an example of "producing more with less". And robotics is destined to transform picking and packing of produce in the horticultural sector and beyond. As our industry responds to the government's current proposals for a new agricultural policy framework, it is more important than ever that we also engage directly with all government departments. For example, so that the planning system supports the diverse investments that farmers need to make, and so that we have access to the digital and energy infrastructure that our new rural technologies increasingly rely upon. 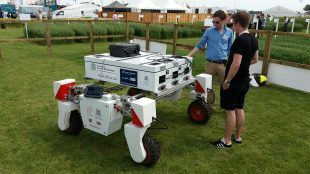 The way agricultural research is funded, carried out and then applied is also critically important for the delivery of the Industrial Strategy. We are working on an initiative to bring together the evidence about what works for agricultural policy and practice, along the lines of the National Institute for Health and Clinical Excellence (NICE). This will ensure that decisions, both within government and on farm, are firmly based on robust scientific evidence, and therefore actually achieve what is intended. 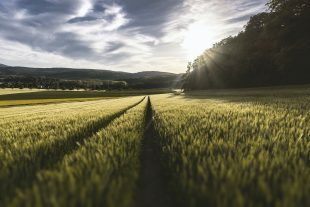 Boosting our industry's productivity - how efficient agriculture and horticulture is at converting inputs such as land, energy and labour into outputs - would make the British farming and food sector both more competitive and more environmentally sustainable, through optimising use of inputs. It would also enhance our national resilience to trade or climate disruption by ensuring access to domestically-sourced products, resulting in a more vibrant rural economy as well as shorter supply chains with better traceability. Together, the agricultural industry and the broader food chain are working together with government towards a single Food and Farming ‘Sector Deal’. We are pleased to be participating in the high-level Food and Drink Sector Council, which will consider upcoming recommendations on how industry and government can collectively boost productivity growth 'from farm to fork'. And we are delighted at the announcement of £90 million from the Industrial Strategy Challenge Fund for "Transforming Food Production", building upon the previous 2013 Agritech Strategy. It is truly good news to see the Industrial Strategy becoming as relevant for farming, food and rural businesses as it is for urban-based industry, addressing the needs of every part of the UK economy.